To allow you to access this service please email mprescriptions2@nhs.net with your name, date of birth, email address, home and mobile phone number. A registration form will then be produced for you to collect within 2 working days. Please bring one form of photo-identification such as a driving license or passport with you (we can also accept a bank statement or utility bill). This service is available to patients aged 16 and over. The Electronic Prescription Service (EPS) is an NHS service. It gives you the chance to change how the practice sends your prescription to the place you choose to get your medicines or appliances from. 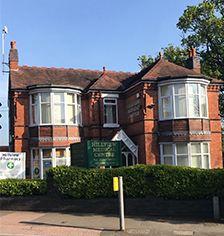 If you currently collect your repeat prescriptions from the surgery you will not have to visit the surgery to pick up your paper prescription. Instead, your GP will send it electronically to the place you choose, saving you time. You will have more choice about where to get your medicines from because they can be collected from a pharmacy near to where you live, work or shop. Please visit the pharmacy of your choice and nominate them to collect your prescription. Do you live alone or are caring for someone else? Is debt or housing something that causes you to worry? Do you feel isolated? If so ask your doctor or nurse about Social Prescribing next time you see them. Age UK now offer a new service called Reconnections, which is aimed at reducing loneliness. They work with individuals on a one to one basis, helping to improve confidenece anbd finding activities and interests to suit everyone. If you would like to be referered please ask either your nurse or doctor.